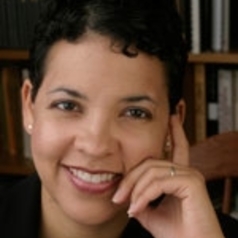 A nationally recognized expert in civil rights, Elise Boddie joined the faculty of Rutgers Law School–Newark in 2013 as an Associate Professor of Law. Boddie teaches constitutional law, civil rights, and state and local government law. Previously, she was the director of litigation for the NAACP Legal Defense & Educational Fund, Inc. (LDF) and supervised LDF’s nationwide litigation program, including its advocacy in several major Supreme Court and federal appellate cases. From 1999-2005, she litigated complex affirmative action, employment, economic justice, and school desegregation cases and argued in the Eighth and Eleventh Circuits. During this period, she also served as LDF’s Director of Education and as an Associate Director of Litigation. She is a frequent public speaker and has appeared on MSNBC, NBC Nightly News, Democracy Now, and National Public Radio, among other television and radio programs.